Tau Psi Chapter of Alpha Kappa Alpha Sorority, Inc.
On April 20, 2014, the Tau Psi Chapter of Alpha Kappa Alpha Sorority, Inc. was chartered on the campus of Methodist University. For decades, the vision to have this illustrious organization to join with Methodist finally was realized. Twelve beautiful young women bonded together with determination and support from the Mid-Atlantic Region - Alpha Kappa Alpha Sorority, Incorporated and the Upsilon Kappa Omega Chapter of Alpha Kappa Alpha Sorority, Inc. to bring the dream to reality. Now, the work has only just begun. Our Guiding Light, Ethel Hedgeman Lyle, wrote the vision in 1907. 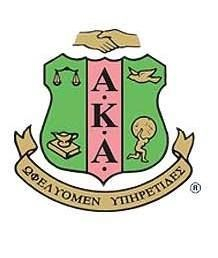 That vision became reality on January 15, 1908 and continues today in the hearts of each Alpha Kappa Alpha lady. Alpha Kappa Alpha, Tau Psi Chapter - Methodist University will honor the vision and dream through its activities on and off campus. Our members will uphold the standards of the organization in each of our endeavors. We thank you all for welcoming us so graciously into your hearts. We promise that we will not disappoint! Our purpose and signature mission is "to be of SERVICE TO ALL MANKIND." Our commitment to service will be obvious through our campus programming, which will align with our international service-oriented agenda. Our ancestor sisters always made it a priority to give back to the community. The first projects of our founders were an initiative to provide dolls to local impoverished girls and to help beautify the landscape of Howard University. Each generation of AKAs has committed to signature service agendas. Our projects have included, but are certainly not limited to, educational improvement, environmental sustainability, financial literacy, and health and wellness. Among other things, our current international signature service project is designed to empower youth and women. At Methodist, we commit to the sorority's service agenda, and we will serve our campus community needs while also reaching back to those in need in our surrounding communities.